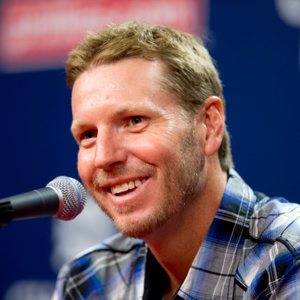 Roy Halladay net worth and salary: Roy Halladay was a former American Major League Baseball player who had a net worth of $70 million at the time of his death in 2017. During his career, Roy was paid $148 million in salary alone before taxes. He also earned millions more from endorsements. Tragically, Roy died on November 7, 2017 at the age of 40 in a plane crash. Roy Halladay was most famous for being a starting pitcher for the Philadelphia Phillies and Toronto Blue Jays. The late Toronto Blue Jays announcer Tom Cheek nicknamed Roy as "Doc", which is a reference to Wild West gunslinger "Doc" Holliday. Halladay was born on May 14, 1977 in Denver, Colorado. His father was a pilot for a food-processing company and his mother a homemaker. Roy was raised in the Denver suburb of Arvada, and trained with legendary Colorado baseball guru Bus Campbell at the age of 13. He was selected by the Toronto Blue Jays in the amateur draft, in the first round, fresh out of high school in 1995. He was a member of the Toronto Blue Jay until the end of the 2009 season, when he was traded to the Philadelphia Phillies. In a game against the Florida Marlins on May 29, 2010, Halladay pitched the 20th perfect game in MLB history. Due to his very successful 2010 season, he was the 2011 winner of the John Wanamaker Athletic Award by the Philadelphia Sports Congress. In addition, he was named the Sportsperson of the Year for the second consecutive year. He awarded this honor by the Philadelphia Daily News in December of 2011. Roy was married to his wife Brandy and they have two children. He retired from baseball after the 2013 season.